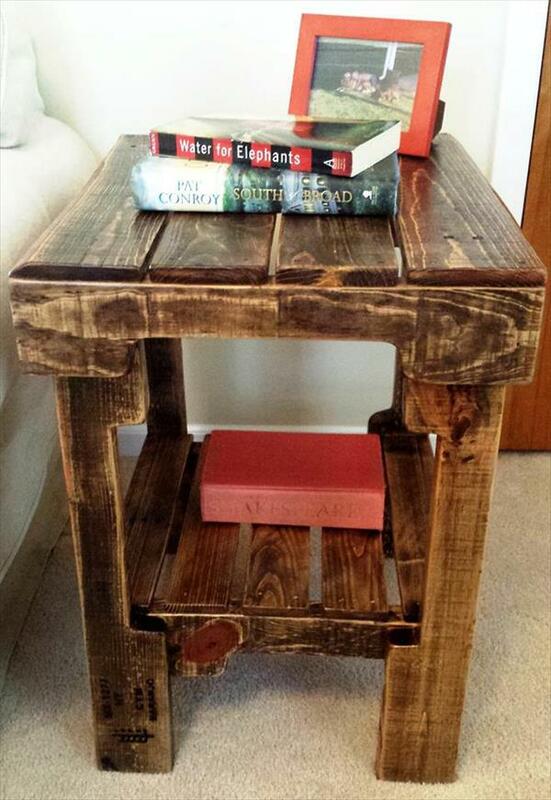 Make great fun to furniture projects with pallets to organize your living style. Create desks, tables and chairs for every unique room of your dwelling to live better that ever. To gain furniture out of pallets is really simple, select your design and go for by making the pallets readjusted or disassembled. 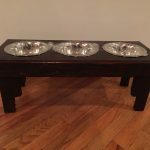 Various techniques can be used to meet your highly unique and creative furniture desires for a functional and comfortable life. 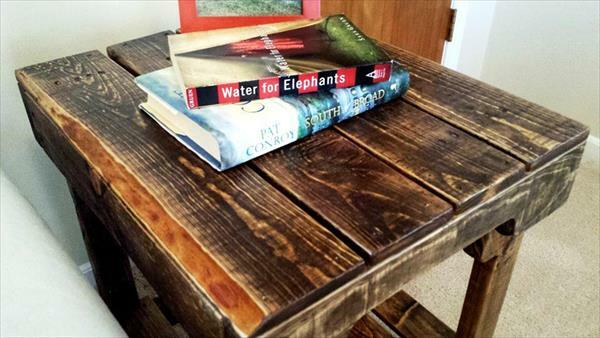 This DIY pallet vintage side table would be precious to all bookworms and living room lovers as you can add this table in sides of your sitting couches or chairs to hold well a light lamp and some books together. 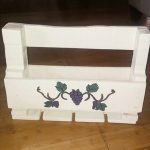 You can even make it more adorned by placing some art objects or picture or mural frame on its flat top. 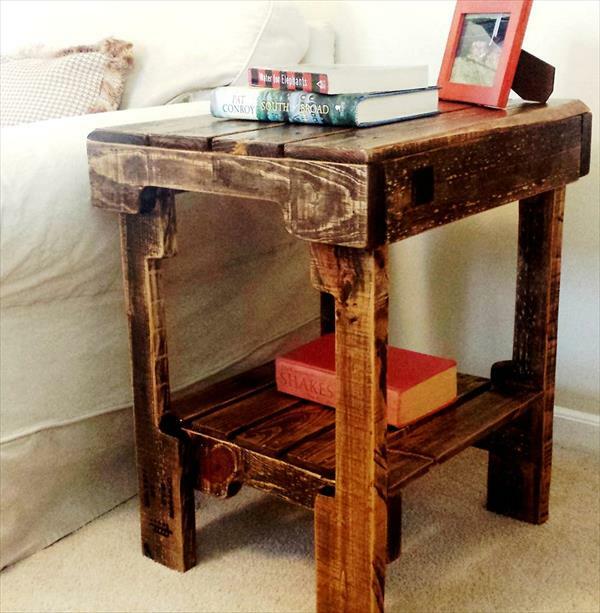 It is just perfect to be a DIY pallet nightstand or end table and will also be precious as accent table for home entry way or hallway.